Tag Archive | "Free College"
When President Barack Obama first proposed his plan for two years of free community college for qualifying students, wiser Americans waited to pass judgment until the next part of the plan was announced. Why? Because they know nothing is really free. And so it is with the $60 billion community college plan. The White House has released an overview of how they would pay for the plan. 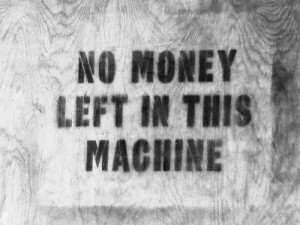 The answer: it’s going to come from the richest Americans and from large banks. That is, of course, if it can get past the Republican-controlled Congress. Obama’s national proposal mirrors “Tennessee Promise,” a plan that also helps pay for high school students to attend community college. The plan is wildly popular in Tennessee – about 90% of the 2015 senior class in Tennessee (58,000 students) have applied to the program, according to The Tennessean. Enacted last year under Gov. Bill Haslam, a Republican, the “Tennessee Promise” offers high school graduates in the Volunteer State money to help pay for community college. The “last dollar” program gives money to students after they have exhausted all other avenues, including Pell Grants. The “Tennessee Promise” money covers whatever costs are not covered by other means. The Tennessee program is available to all students, regardless of academic merit or economic need. It is funded by interest earned in the state lottery reserve. The program is part of the state’s “Drive to 55” program, where the state wants 55% of its population to earn college degrees. That number hovers now at about 32%, ranked 43rd out of the 50 states. The president’s plan has its roots in the same concerns Haslam has in Tennessee – there are an increasing number of jobs that require a college education, and that trend is going to continue in the coming years. His plan would allow states to cover the costs for qualifying community college students. The federal government would pay two-thirds of the program, the states the other third. Obama proposes paying for the plan through two main avenues. The first is raising taxes on capital gains, a move the White House says will affect only the top 1 percent of taxpayers. 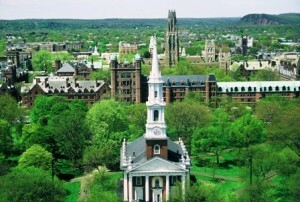 The second is raising the fees on institutions that borrow large amounts of money. The proposal also calls for expanding tax credits to part-time students and also exempt Pell Grants from taxation (currently only money used to pay education expenses is exempt). The proposal also would call for not calculating Pell Grants in applications for the free community college, meaning students could take advantage of both programs (as they do in Tennessee). Passing the plan as is could prove difficult. Critics argue it would be more effective to simply expand Pell Grants or increase the amount a student can receive. Republicans in Congress have already said they oppose new taxes. And Ben Nelson of the Minerva School, which works with high tech companies to design a curriculum for information technology that meets the needs of business, said expanding online classes with targeted educational programs would be a better solution. 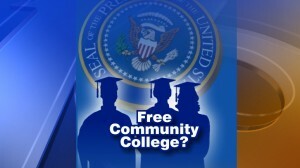 Community colleges, Nelson told Yahoo! Finance, are now more like remedial schools teaching students the basics because high schools are, in his opinion, no longer doing the job. iFame Media a brand management agency provided this article on behalf of Imagine Sports, the leader in baseball simulation games for over 20 years. Playing the lottery just got more interesting in the great state of Illinois. 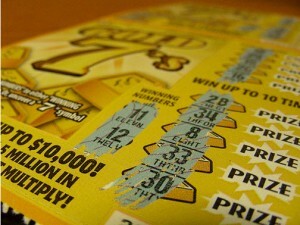 The Illinois Lottery System is rolling out a new type of scratch and win ticket called the “Cash 4 College“. Officials state that the tickets cost $2 and that they will offer 5 winners the opportunity to cover 4 years of college tuition and mandatory fees. 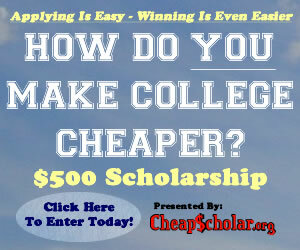 If the winner can’t use the tuition benefit, they have the option of accepting a $20,000 cash prize. I just did some quick math in my head and I can’t imagine anyone taking the cash payout option over the tuition benefit. Chances are that 4 years of tuition, even at the cheapest public university, is going to be more than $20,000. Can I give the prize to someone else? Absolutely! Players may award the contract to a friend, relative or anyone else that may otherwise qualify for the same purchased college tuition contract. Any resident of Illinois can be designated as a beneficiary from the moment of birth. No maximum age limits apply. Non-residents can be designated as beneficiaries, provided that purchaser has resided in Illinois for at least 12 months immediately prior to purchase. What is covered in the full-tuition ticket? The College Illinois! 529 Prepaid Tuition Program covers in-state or in-district tuition and mandatory fees for the number of semesters purchased. Each semester is equal to 15 credit hours. Mandatory fees are those fees required as a condition of enrollment for all students. Can I use the tuition prize for private or out-of-state colleges? In general, the College Illinois! 529 Prepaid Tuition Program benefits can be used at any non-profit, accredited institution eligible to receive federal financial aid. This includes any Illinois public university or community college and most any public or private college throughout the country. So.. if you live in Illinois, or happen to be passing through, you may want to pick up one of these scratch and win tickets. Scoring free tuition would be great but I wouldn’t recommend tapping the college savings fund to purchase these tickets. At the very least, they may make for a great stocking stuffer for family members or friends that are entering into the college search process. Offering an educational experience at no cost is an amazing idea and works great for those that are yearning to stimulate their brain cells. 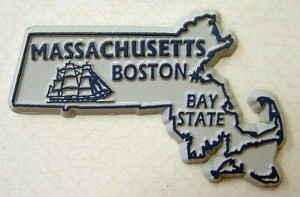 MIT, among other institutions, have been offering open course ware education for years via online technology. It has been a wonderful opportunity and they have helped to educate the masses (one free online course at a time). Last September The University of the People was established with the same intent; to bring diverse groups of people together with one common goal.. to learn. Their meager beginnings started with a cross-segment of 180 students representing 50 different countries. Fast forward 9 months and they now have close to 500 hundred students from 87 countries. I would not say that their growth is viral but it is certainly noteworthy and extremely respectable considering they are the “new kid on the block”. The main difference between University of the People and MIT’s open course ware model is purely structural. For example, MIT offers it’s lecture series, class notes, presentations, reading materials, tests, & examinations for free on their site. Students are able to come and go as they like and study the material as much or as little as their interest dictates. Basically, all the learning potential but without peer evaluation or instructor guidance. U of P provides the exact same product but what they bring to the table is everything that MIT does not. They have actual classes of 15 to 20 students. The courses are led by an instructor and each student is held accountable for the work they complete not only by the instructor but also by their peers. Another distinct difference between an open course ware model and U of P is the accreditation aspect. Currently U of P is not accredited (as is most open course ware organizations), however they are strongly working to achieve accreditation (which OCW will never attempt). If and when the school receives accreditation, it promises all of it’s current and former students that they will receive proper education credits for the courses they successfully completed and they will be able to transfer those credits seamlessly to other institutions or apply them toward a degree at University of the People. If you found this information intriguing and would like to learn more about the University of the People, you can visit their website here to see their mission, leadership, partners, and answers to the most frequently asked questions.